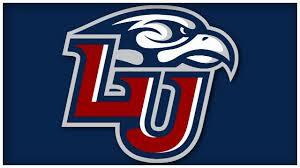 Liberty University is a four year, private university in Lynchburg, Virginia. The University offers undergraduate and graduate degrees through residential and online programs. Students can choose from more than 600 programs of study. Liberty University is a MyCAA approved school. All of their undergraduate online degree options cost $250 per credit hour. This means that eligible students can use their Tuition Assistance to cover the entire cost of tuition for an online Liberty University degree. Liberty University is a Military Spouse Career Advancement Accounts (MyCAA) approved school.